Chintan Mehta: Hello, everyone. Welcome to Morningstar. I'm Chintan Mehta, Senior Investment Analyst. 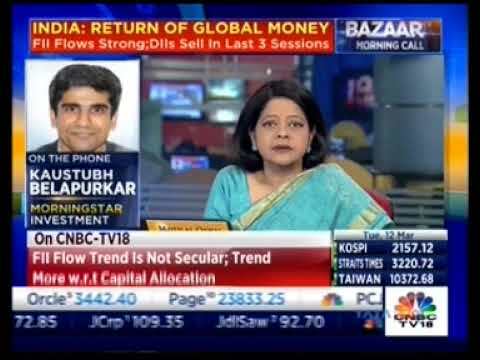 Joining me to talk about midcap funds is Kaustubh Belapurkar, Director, Manager Research. Kaustubh, thanks for being here today. Kaustubh Belapurkar: Thank you so much, Chintan. Mehta: Midcap indices have been making new highs. How should investors go about participating in this rally? Belapurkar: You're right. They've been doing really well off late. But I think it's very important though for an investor to first assess their risk profile and also the time horizon because these are two crucial aspects when it comes to investing in midcaps. 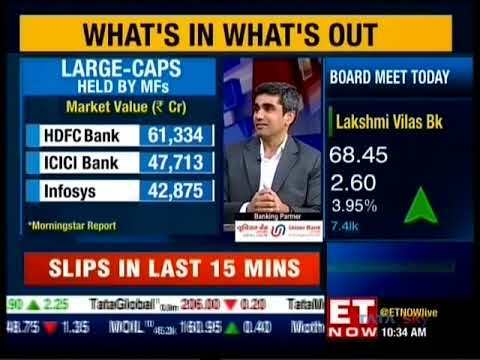 Mehta: You mentioned there are some great midcap fund managers. Can you please tell us what sets them apart? Belapurkar: Sure. So unlike a large cap stock the midcap space is fairly under-researched from a sell-side perspective. When it comes to really researching these stocks, the onus clearly lies on the asset manager to have in-house fundamental research that helps them identify the right companies. You would have the research analysts from any of these asset managers actually going and meeting the meeting the management, doing a lot of field visits, getting a good grip and understanding of these particular stocks, collecting a lot of data that supports their thesis. Beyond that then it's really up to the manager to build a diversified portfolio from the select stocks that have been really put forward by the research team. That's really one aspect to it. The other important aspect is really on the side of investment discipline. So, when you buy a stock, your investment thesis may not play out right away. There could be time where the market doesn't recognize it immediately, but that's where the manager's discipline really comes in where he believes in his thesis and holds on to that stock even though the stock is not really performing. The other way around, if the stock is really run up in a rally then he should actually have that discipline of selling it or paring his position if he believes that the valuation is kind of rich. And the other thing that we've seen managers do very well in the industry is, if the thesis has not played out and the story on that stock is changed, they shouldn't shy away from actually cutting their exposure and getting out of the stock if it's not working for them. 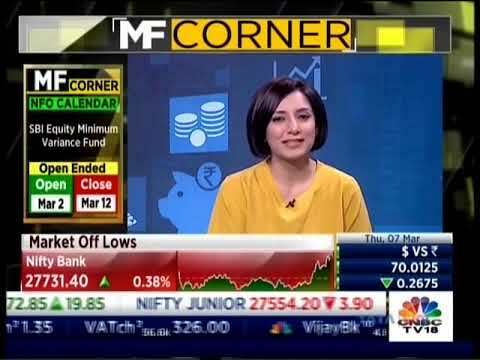 Mehta: So, how does an investor choose the right midcap fund? Belapurkar: So, traditionally, what investors have done is look at the past performance and mostly, short-term performance of a fund and they go ahead and make their investment decision. This to our mind is not the right way of doing it simply for two reasons. One is that you need to understand how and why has that fund delivered the return that they have and secondly, is that going to be sustainable going forward? So, the way we would want to assess a manager on their performance is actually run down a portfolio attribution to A, understand that is it being delivered by a few stocks and sectors or is it more broad based in terms of a larger number of stocks and sectors actually delivering the returns which then gives us comfort that there's something going right in the investment process in terms of selecting the right stocks. The other thing that's also very important to be cognizant about is the dispersion of returns between the best-performing and the worst-performing stocks on the midcaps is huge. So you can be holding a few stocks that are doing really well for you and that could result in great lumpy performance over a short period, but what we need to see in a manger is consistent performance. So the manager doesn't really need to be the top-performing manager quarter-on-quarter or year-on-year but rather if he is a consistent quartile one, quartile two performer and he continues to do that year-over-year, he will automatically over the long term be a great performer if not the best performer. 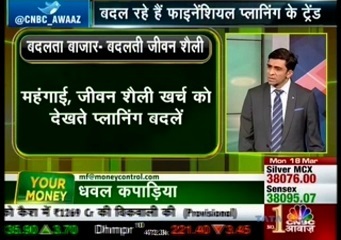 Mehta: What should investors keep in mind while investing in midcap funds? Can you highlight some of the risks? Belapurkar: If you look at it, the way the midcap funds have done over the past and especially over the last two years, they have really outperformed the broader market and the large cap space. Obviously, that's built a lot of excitement around the way the returns are being delivered and investors are very keen to look at this space. Just a word of caution around it. So, iIf you look at it, the valuations have become a little bit on the richer side and fund managers are also cognizant of the fact that a lot of stocks have run ahead of the fundamentals on the stock. So they have been very, very picky in terms of stock selection. But that said, they are still holding the thesis that if you hold the right stocks over a long-term horizon that shouldn't really be a concern. Two things that investors should be doing. Given that valuations are slightly rich, you may want to – and this is something which is actually an evergreen suggestion – is come through SIP rather than doing a lump sum investment because that just protects you from a market timing risk. And the second thing is come with a very clear investment horizon of at least 7 to 10 years if not more, because you will see some short-term volatility in the interim, but as long as you hold the right set of funds in your portfolio, you should be doing really well over the long term. When you talk about the risks, I think one risk that people tend to talk about but I think it's very well, at least partially mitigated by the fund managers is actually liquidity risk. The trading volumes on midcap stocks is obviously a lot lower than large caps. But I don't think it's such a concerning factor just because the way the measures that have been taken by the fund managers to reduce this risk. So what are they doing right? One is they are holding a fairly diversified portfolio of stocks which reduces the concentration risk on a particular stock; two, they are taking measures to cap how large a particular investor can be invested in the scheme, so that takes away the lumpy nature of investments that a large investor can redeem and actually hurt the fund. These kind of factors coupled together really take care of the liquidity risk to a certain extent in portfolios. So just articulating again that as long as an investor comes and chooses the right set of funds, has the right mindset and staying invested despite seeing some downside volatility, there's a lot of money to be made and they should clearly be very happy at the end of their investment period. Mehta: Thank you Kaustubh for sharing your views. Belapurkar: Thank you so much.